This is the first time we were asked to participate and the evening was really fun! The Legion was transformed in to an under water oasis and looked fantastic. 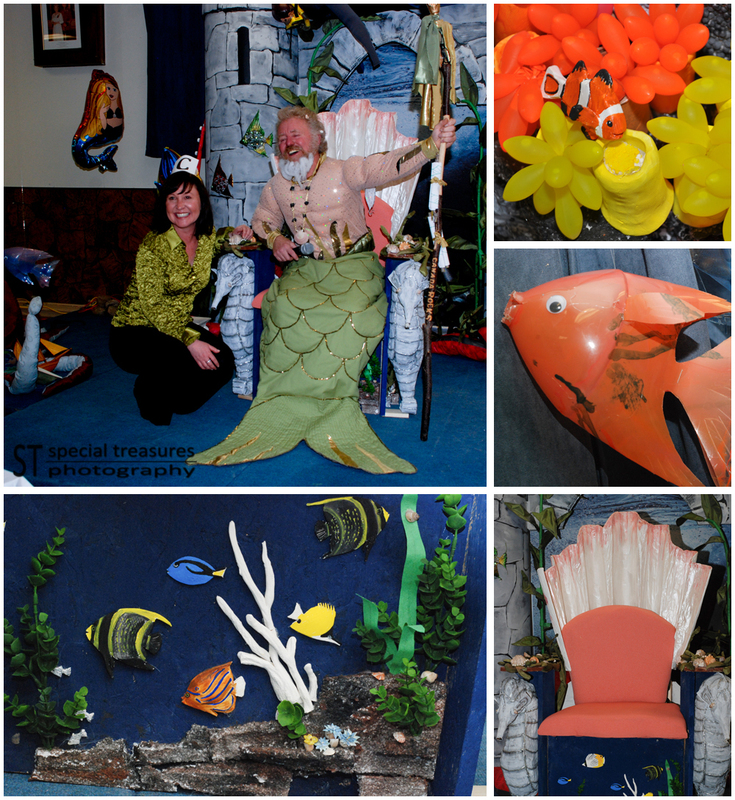 Some of the attendees wore costumes and the decorations which was the work of a team of helpers were really AMAZING! George from Frisco’s was on hand serving freshly sautéed shrimp along with a selection of dishes and salads that were made by the Friend of the Library Volunteers. It was obvious the food was enjoyed by all! 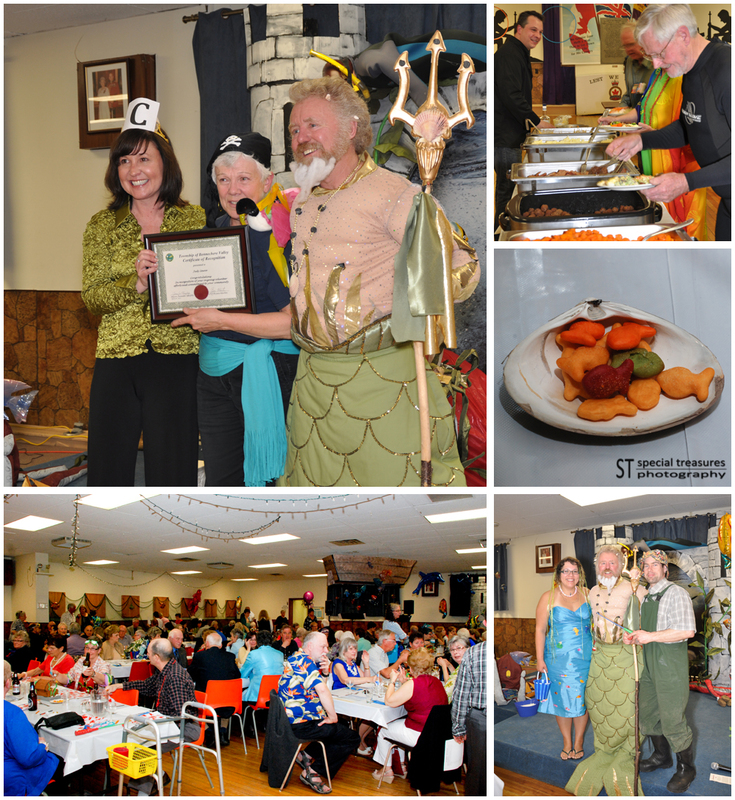 The annual fundraising dinner hosted by The Friends of the Library to support the Bonnechere Union Public Library was enjoyed by everyone who attended. Bonnechere Valley Township Mayor Jennifer Murphy (whose costume was an adorable tiara with the letter “C” …get it?) presented Judy Sauvé with a volunteer award for all her hard work with the many local organizations she is proud to be part of. Judy accepted the award to a standing ovation! Now that is Valley Pride! The evening entertainment was provided by The Red Shoes. 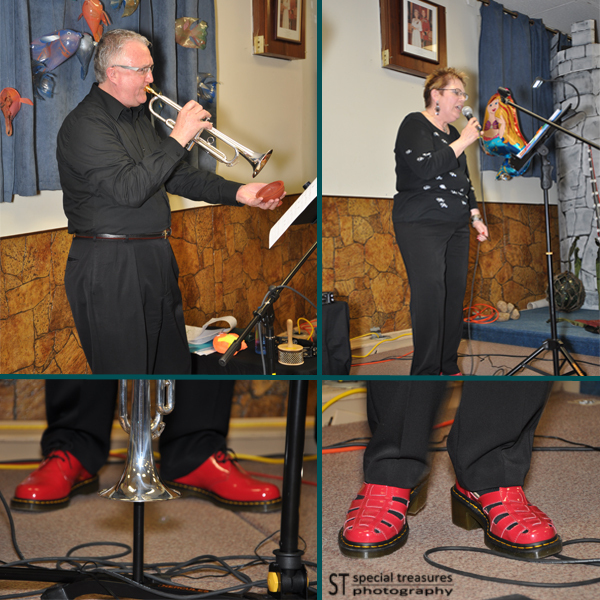 Both wearing their cool Red Shoes, they performed a great selection of Under the Sea music. I know we can’t wait to see the decorations next year, we are told they get better every year. You are a Rockstar! Your photo ACW2c (228)w was selected by the judges as one of their favorite photos. With this Ring…selected by the judges as one of their favorite photos! Back in March the judges also selected on of our photos for their “Two Thumbs Up” Award. It just feels really cool to have your photographs noticed, even if it is just on a small scale…We all have to start somewhere!